There are currently 27,317 users on this website. Neat 1859 N9 With Die Cracks Obverse & Reverse. 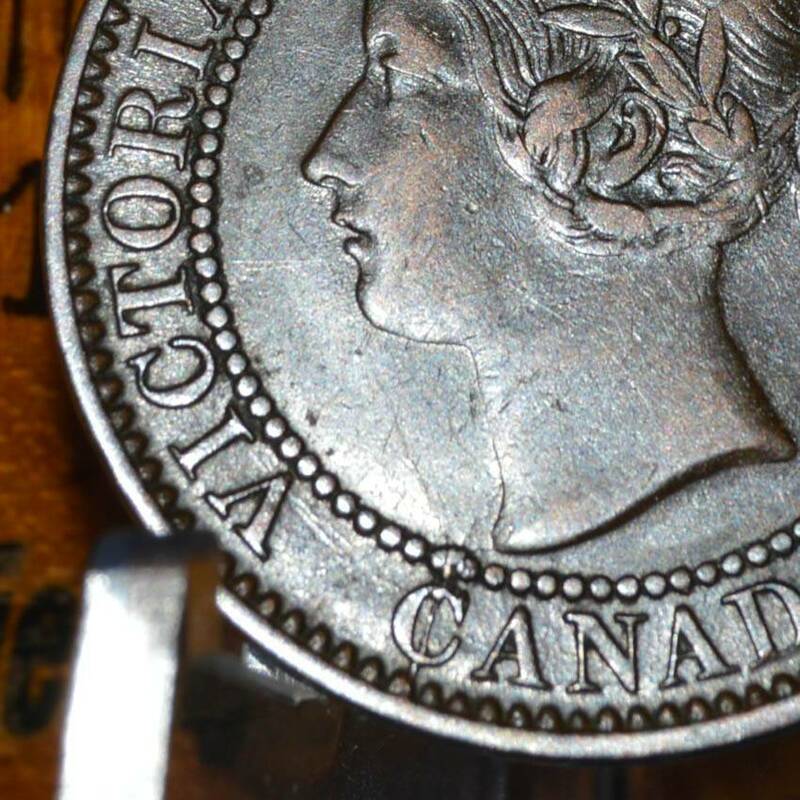 ...I was pleasantly surprised to find the 1859 was actually pretty decent, and more so to find a wicked die crack bisecting the C in CANADA and running up to the neckline! It's not exactly worth doing cartwheels over, but it's always nice to find an unexpected surprise with the odds and sods! Nice pickup I'm not sure if it's a coincidence or just a sort of confirmation bias, but it looks like a PC59-233, which was what I'm fairly certain the one I got the other day is, but haven't decided 100%. Yours is in better shape though, and in a later die state by the looks of it. I agree with Don. PC59-235. There looks like a die crack at leaf 8 also which is what you would expect on a 235 in that die state. 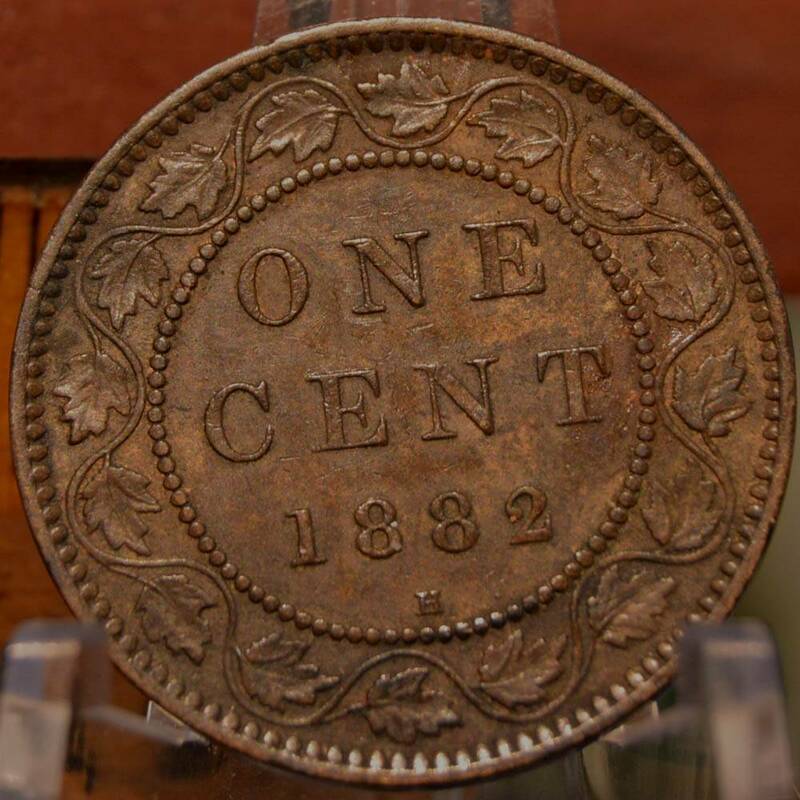 Can you post an obverse picture of your 1882? There are some nice varieties for that year. I took these shots at 24MP so I can zoom in on any areas you might be curious about from the original pictures. 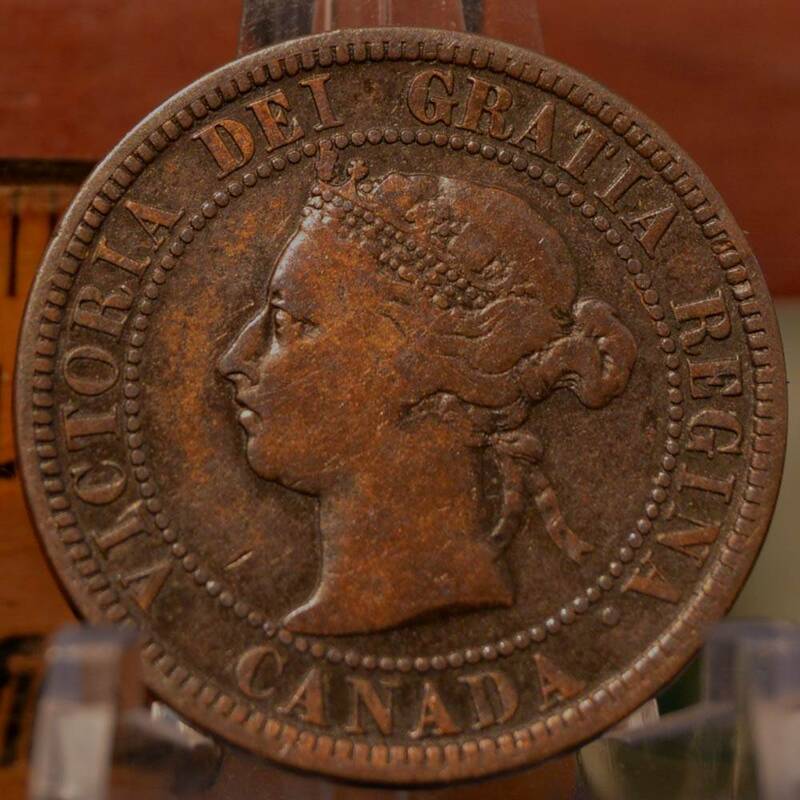 I didn't notice until you all pointed out on my coin: not only is there a die crack through the G in GRATIA that extends down to the top of the head, the G appears to have been recut on the crossbar along with the right foot of the A in VICTORIA. According to what I can find on Haxby's site that makes this coin a stage 7 (Obverse 23 / Rev E25D) -- learning as I go here! What on-line resource did this number come from? And if this place does not have valuation data, please indicate where this type of data might be found. Dr Haxby's vickycent site does not have any pricing data. It is a very comprehensive die-tracking reference for the 200+ 1859 varieties that have been found thus far. It also includes information on the die state of each of the die pairings(marriages) as die cracks grew and new ones started. 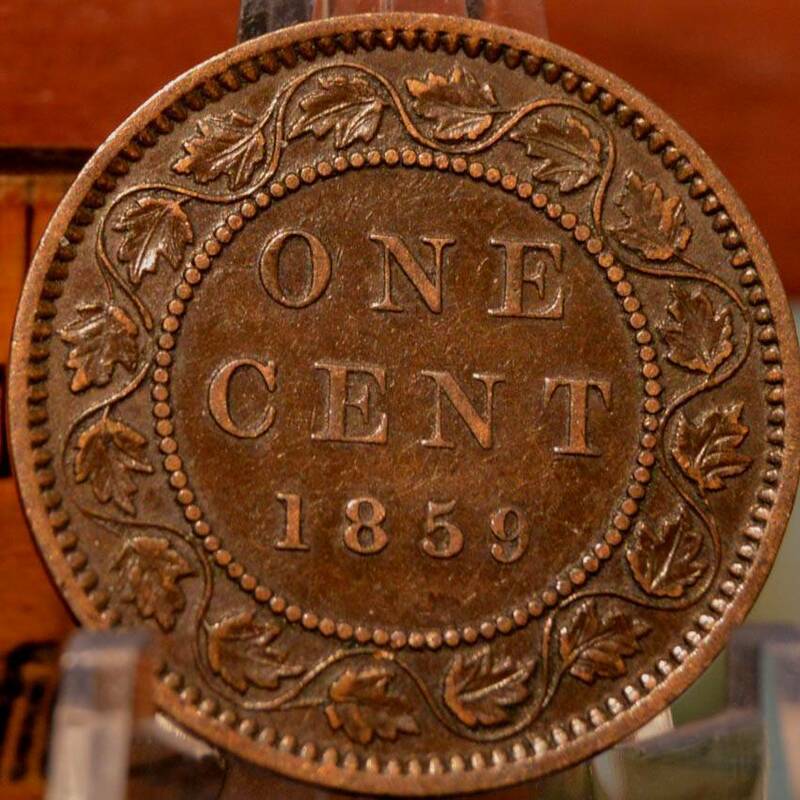 Most of the entries on the site concern common "vanilla-type" coins, with no discernable "vaiety" ... it tracks ALL the information on the coin that makes it different from the others. 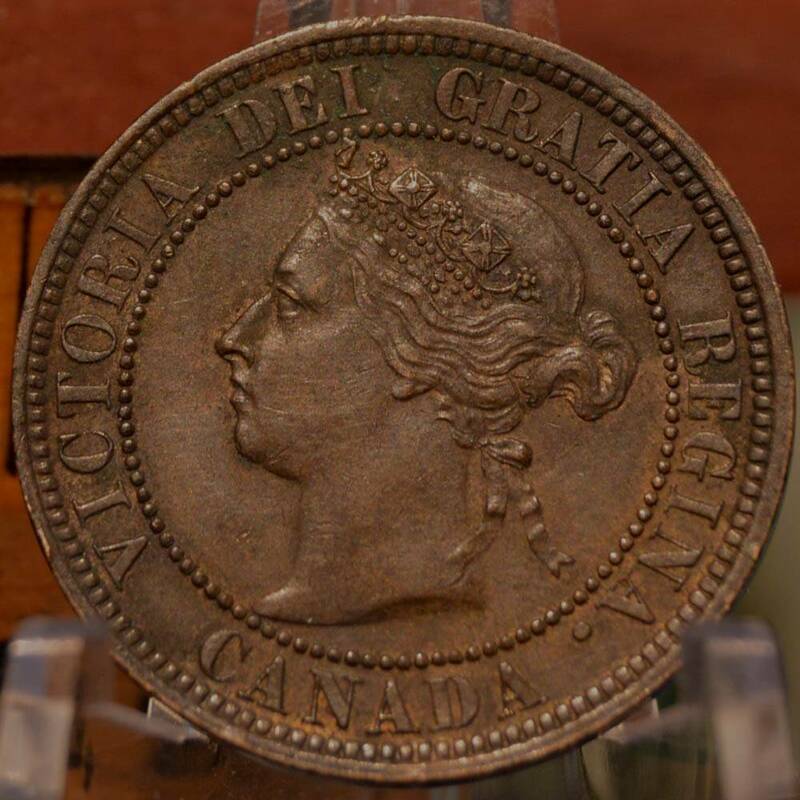 If you want pricing data, you can find retail prices for more evident, recognized collectible varieties in the annual Charlton guide, or the Canadian Coin News, published every month. 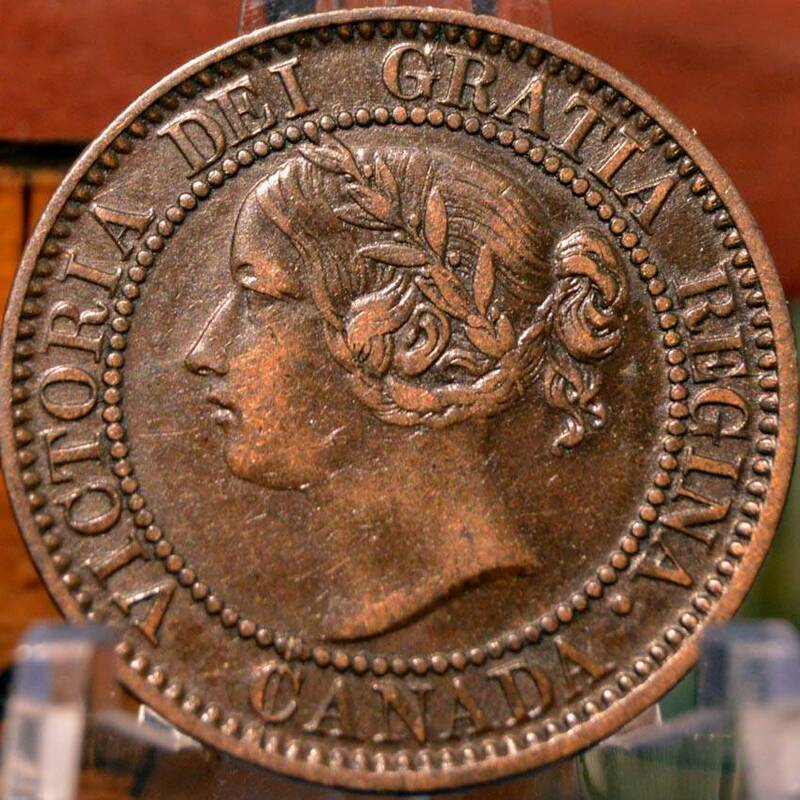 If you want what they actual would sell for (recognized varieties sold on Ebay or auctions) then try http://www.coinsandcanada.com/coins...s-prices.php and/or http://www.coinsandcanada.com/coins-prices.php which is more retail oriented, but with a few more common varieties noted. mdpmedia, if you are familiar with Sheldon or Cohen numbers for early U.S. large cents and Half Cents, I think you will really enjoy checking out the website Dr. Haxby and Ed Reny started. Fourmack has posted the link above. 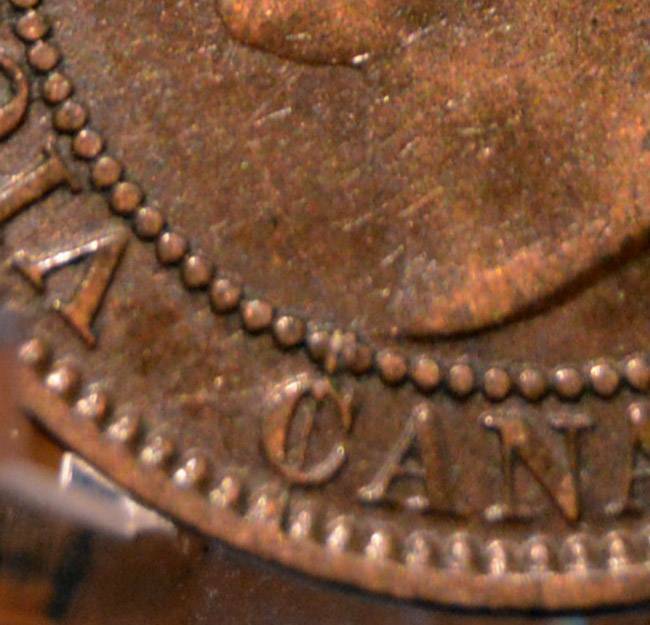 The website is a Canadian equivilant for the 1859 N9 provincial large cents. Rob Turner has also written books covering the 1858 and 1859 W9 dies. Here's the link to Rob Turner's website where you can order his books. 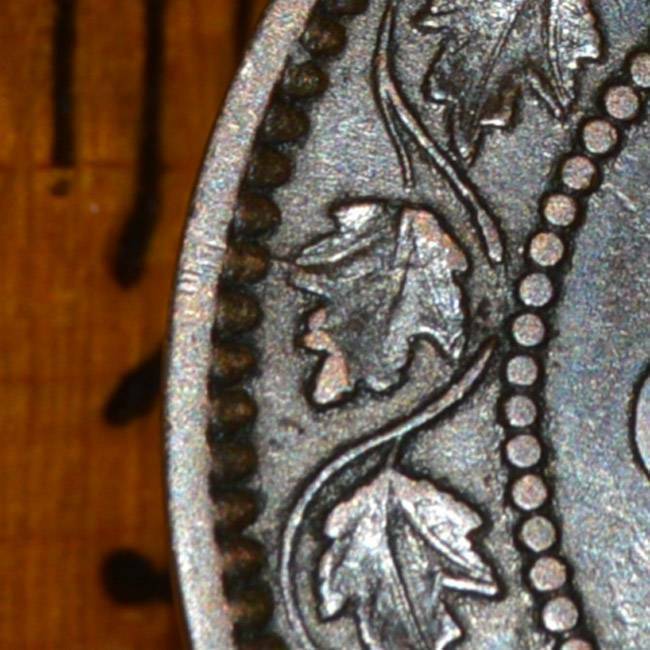 Currently there are 248 different die pairs known of the 1859 N9's. 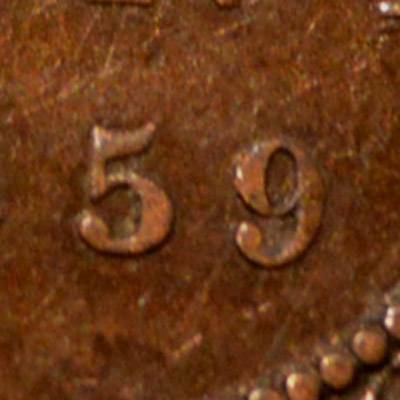 I believe Rob has identified 22 die pairs of the 1859 W9's and I'm not sure how many of the 1858's (close to 60 I think). 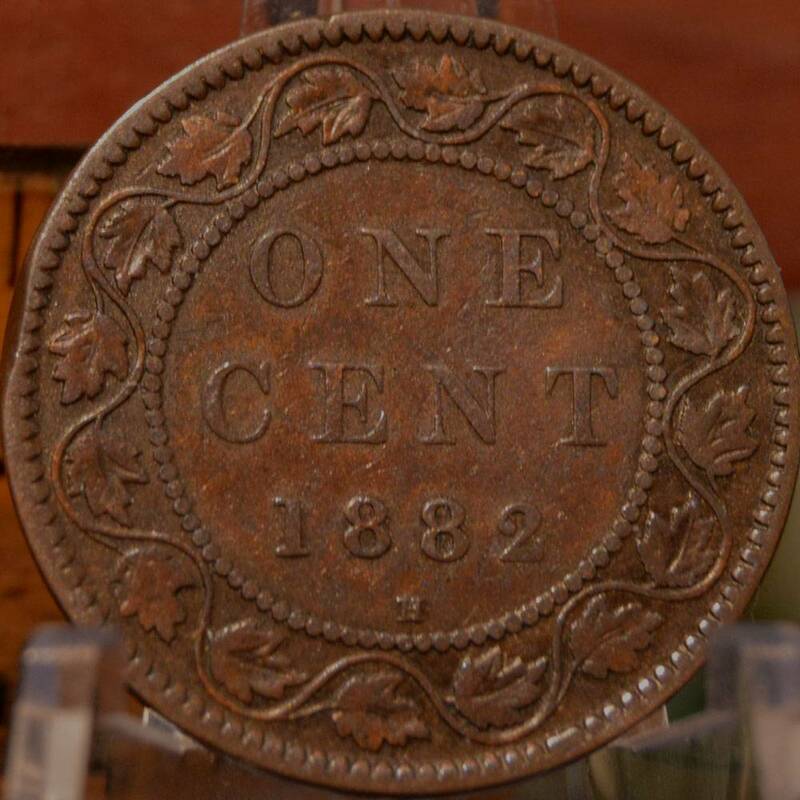 The published information on all the known provincial cent die pairs has only been around for about a decade, so it's a great time to get into collecting these while they are still available and affordable, and I am sure there are still unknown dies to be discovered. As okiecoiner said, there is no pricing data on the website, as it is still way too early to establish any pricing for all the die pairs. Establishing the relative rarity of the different die pairs is the first step and that may be coming along pretty soon for the 1859 N9's. Rob already has that in his books for the 1858's and 1859 W9's. paralyse, both of your 1882's have the obverse type 2. Neither are a special variety that I can see. 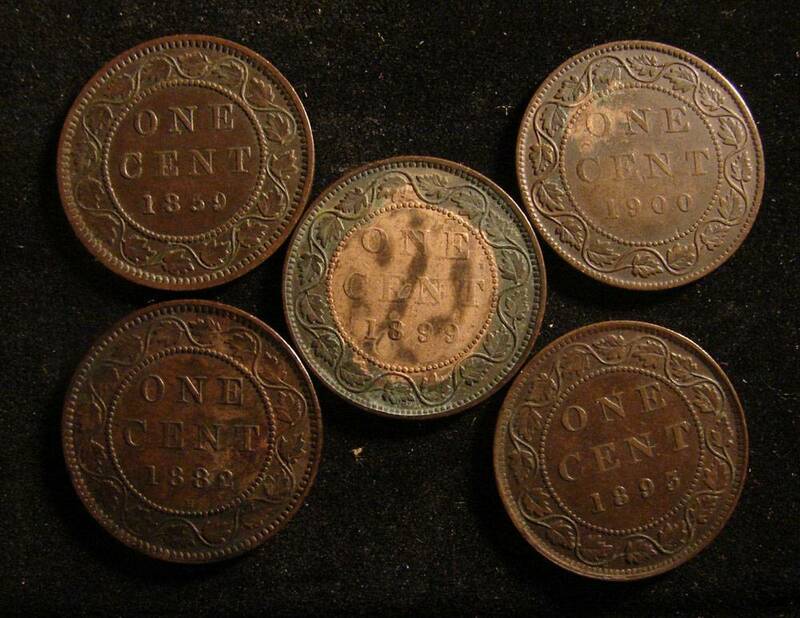 Most of the interesting varieties from 1882 are on the obverse 1 and 1a coins. Just some added info for the 1859 shown in the original post. Hans Zoell also cover this obverse and referred to it in his 1964-1965 Third Edition Part One as follows.
" R2r Obv. re-ent. G's, re-cut last A "
There is a picture also which shows the D/C at the G in GRATIA confirming it to be the same.